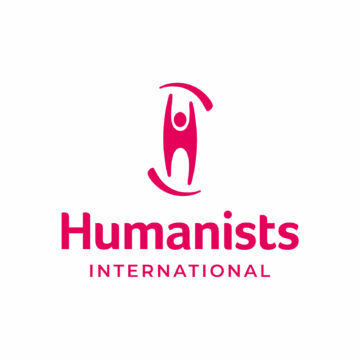 [wptab name=’English’]Statement from the offices of the International Humanist and Ethical Union (IHEU) on the “burkini ban” now being enforced in parts of France. There have been multiple, bloody and horrific terror attacks in France over the past two years. In the aftermath of such attacks, it is true that the mere sight of other people who superficially share an identifiable trait with the perpetrators (in this case, the religion of Islam) might prompt some to express anger, intolerance, even hatred. We must not give in to such anger personally. And the state should not enable the misplaced victimization of innocent people. And yet in France, the risk of social backlash against Muslims has been used as a rationale for implementing “burkini bans” in several French towns. 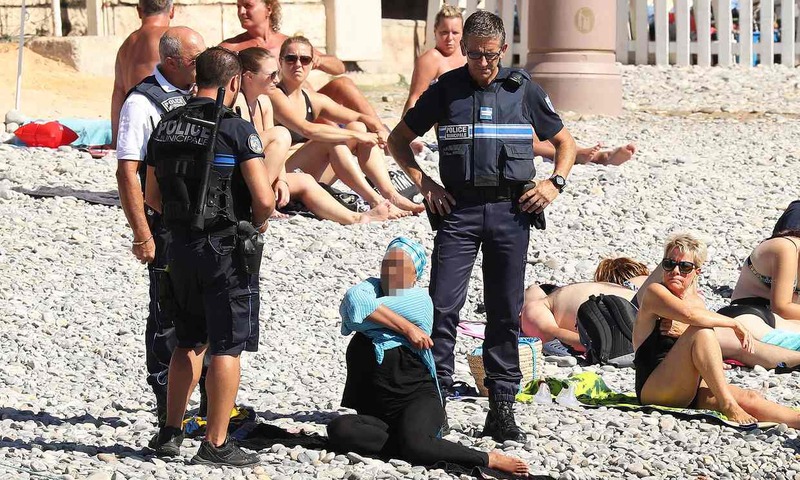 Earlier this week an appeal tribunal in Villeneuve-Loubet said that the local burkini ban was “necessary, appropriate and proportionate” to prevent public disorder. But the right way to police the risk of “public disorder” cannot consist in an attempt to erase all the signals of difference, or to victimize innocent people making personal choices that in no way compromise the rights and liberties of others. The right way to combat intolerance is to instil tolerance. It is not to attempt to render the perceived problem invisible. When it comes to freedom of expression, France understands very well that the potential offence felt, or even a potential violent response to an expression of legitimate opinion, is not a reason to ban the expression of that opinion. The principle here is that a potential backlash because someone doesn’t want to see, hear or read something, is not a reason to oppress the initiator. Instead of translating this principle to the freedom to manifest religion or belief, or indeed the freedom to simply wear what you want on the beach, French courts have expressly justified the bans on the grounds that burkinis are “liable to offend the religious convictions or (religious) non-convictions of other users of the beach”. In other words, potential offence is being deployed as a reason to suppress a freedom. This is the complete contrary to the radical liberty embodied by Charlie Hebdo and the principle that you don’t have a right not to be offended. The law should protect liberties despite potential offence, potential backlash, or hypothetical disorder borne of intolerance. Instead, the burkini bans are institutionalising a social backlash against innocent Muslims. Criticising the burkini bans does not mean approving of every religious norm and dress code. On the contrary, it is entirely possible and consistent to be against the burkini bans, and to be against conservative religious dress codes. For many people, the laws in many countries which enforce covering will be regarded as patently illiberal; the claim that highly restrictive dress codes are about “modesty” may sound vain and self-deceiving; taboos favouring face covering may be regarded as a misogynistic erasure of women’s personal identity in the public sphere; and the common rationale for stigmatizing “uncovered” women by reference to the supposed uncontrollable urges of men may well be regarded as regressive, laughable, and victim-blaming. Such views (while they may be difficult for some to hear) are valid critical positions, which themselves should not be suppressed. 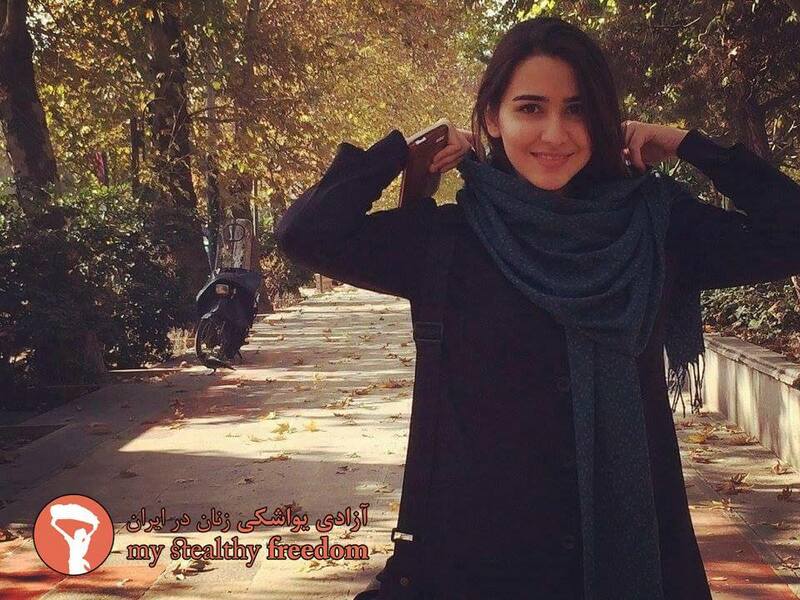 Indeed these views, which are offered by many women from Islamic countries who resent the presumption and the enforcement of conservative dress codes, will be voiced and should be heard in any free and open society. And the voicing of such criticisms, and the defence of women resisting enforced conservative dress codes, is in no way helped by banning the voluntary wearing of arbitrary clothing in liberal countries. On the contrary, to the extent that one believes burqas and niqabs and taboos in favour of covering are generally symbols of oppression, then the outright banning of particular clothing items risks popularizing those very items and turning them into symbols of liberty. At the very least the bans only confuse an already complex cultural problem. There are different ways to do secularism, different kinds of state neutrality, different approaches to the disestablishment of religion. With regard to the symbolism of religious dress codes, the response of humanists and others will vary, and the exact best way to implement the principles of secular democracy is open for debate. But there are times when very clearly the lines are crossed. When armed police approach lone women enjoying the beach and compel them to remove a layer of clothing, with no public order complaint, with no evidence that she has been compelled to wear the clothing against her will, and as racists look on shouting “Go home” (and do not themselves face any apparent reprimand by the police for that behaviour), then we are well into territory where the principles of secularism have been distorted beyond recognition. 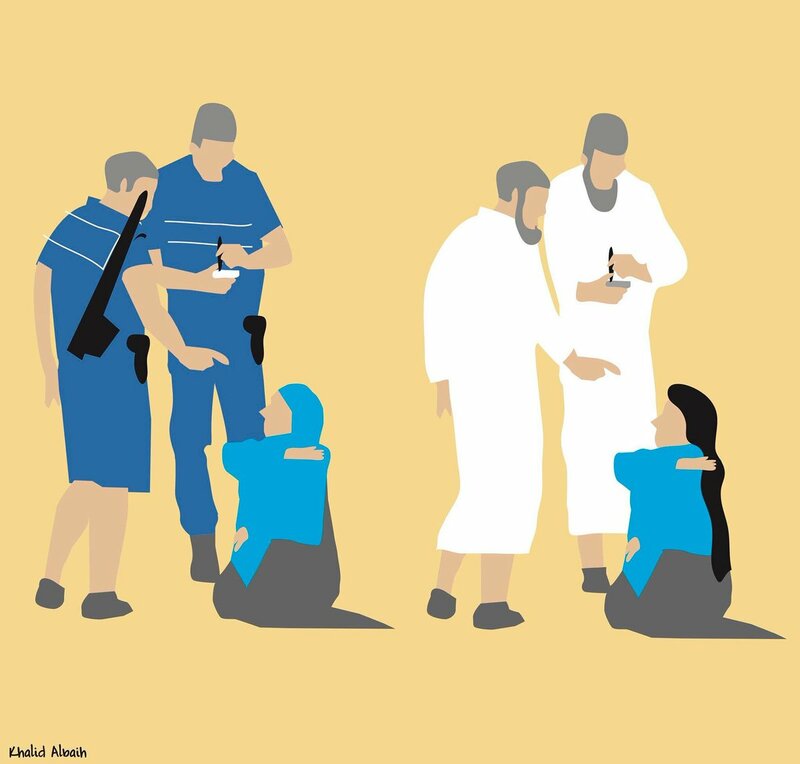 The justifications that have been offered for the burkini bans in terms of “offence”, “social disorder”, even “public morals”, are mirror images of the rhetoric that can be heard from the authorities in many Islamic states as justification for enforcing conservative dress codes. This eerie familiarity should expose the fallacy of the burkini bans. Secularism has been an inspiration around the world; properly understood it is the best framework in which to ensure liberty, equality and human rights for all. The burkini bans devalue and debase France’s grand contribution to the world’s understanding of secularism, and should be overturned as soon as possible. [wptab name=’French| Français’]Déclaration de l’ Union internationale humaniste et éthique (IHEU) sur l’arrêté «anti-burkini» maintenant appliquée dans certaines régions de France. Il y a eu plusieurs, attentats terroristes sanglants et horribles en France au cours des deux dernières années. À la suite de ces attaques, il est vrai que la simple vue d’autres personnes qui partagent superficiellement un trait identifiable avec les auteurs (dans ce cas, la religion de l’Islam) pourrait inciter certains à exprimer la colère, l’intolérance, même la haine. Nous ne devons pas céder à une telle colère. Et l’état ne devrait pas permettre la victimisation déplacée de personnes innocentes. Et pourtant, en France, le risque de contrecoup social contre les musulmans a été utilisé comme une justification pour la mise en œuvre d’ “interdictions burkini” dans plusieurs villes françaises. Plus tôt cette semaine, un tribunal d’appel à Villeneuve-Loubet a déclaré que l’interdiction burkini locale était «nécessaire, appropriée et proportionnée» pour empêcher le désordre public. Mais la bonne façon de contrôler le risque de “désordre public” ne peut pas consister en une tentative d’effacer tous les signaux de différence, ou de victimisation des personnes innocentes à faire des choix personnels qui en aucun cas compromettent les droits et les libertés d’autrui. La bonne façon de lutter contre l’intolérance est d’ insuffler la tolérance. Ce n’est pas de tenter de rendre invisible le problème perçu. La bonne façon de lutter contre l’intolérance est d’ insuffler la tolérance. Ce n’est pas de tenter de rendre invisible le problème perçu. En ce qui concerne la liberté d’expression, la France comprend très bien que l’infraction potentielle ressentie, ou même une réponse potentielle violente à une expression d’opinion légitime, n’est pas une raison pour interdire l’expression de cette opinion. Le principe ici est que le contrecoup potentiel parce que quelqu’un ne veut pas voir, entendre ou lire quelque chose, n’est pas une raison pour opprimer l’initiateur. Au lieu de traduire ce principe à la liberté de manifester, de religion ou de conviction, ou voire la liberté de porter tout simplement ce que vous voulez sur la plage, les tribunaux français ont expressément justifié les interdictions au motif que les burkinis sont “susceptibles d’offenser les convictions religieuses ou non-convictionnelles (religieuses) des autres plagistes”. Autrement dit, l’offense potentielle est déployée comme une raison pour supprimer une liberté. Ceci est tout le contraire de la liberté radicale incarnée par Charlie Hebdo et le principe que vous ne disposez pas d’un droit de ne pas être offensé. La loi devrait protéger les libertés malgré l’offense potentielle, les contrecoups potentiels, ou le désordre hypothétique née de l’intolérance. Au lieu de cela, les interdictions du burkini institutionnalisent un contrecoup sociale contre les musulmans innocents. Critiquer les interdictions du burkini ne signifie pas l’approbation de chaque norme et code vestimentaire religieux. Au contraire, il est tout à fait cohérent et possible d’être contre les interdictions du burkini, et d’être contre les codes vestimentaires religieux conservateurs. Pour beaucoup de gens, les lois dans de nombreux pays qui obligent les femmes à porter le voile seront manifestement intolérantes; l’affirmation que les codes vestimentaires très restrictives s’agit de le «modestie» peut sembler vaine et illusoire; les tabous qui favorisent le visage couvert peuvent être considérés comme un effacement misogyne de l’identité personnelle des femmes dans la sphère publique; et la raison commune pour la stigmatisation des femmes “dévoilés” par référence aux pulsions supposés incontrôlables des hommes peut bien être considérée comme régressive, risible, et une condamnation des victimes. Ces points de vue (alors qu’ils peuvent être difficile pour certains d’entendre) sont des positions critiques valides, qui ne devraient pas être supprimés. Ces éléments, qui sont offerts par de nombreuses femmes des pays islamiques, indignées de la présomption et de l’application des codes vestimentaires conservatrices, doivent être exprimés et devraient être entendus dans toute société libre et ouverte. L’expression de ces critiques, et la défense des femmes qui résistent ces codes vestimentaires conservateurs forcés, sont en aucun cas aidé par l’interdiction du port volontaire des vêtements arbitraires dans les pays libéraux. Au contraire, dans la mesure où l’on croit que burqas et niqabs et les tabous en faveur de la couverture soit généralement des symboles d’oppression, alors que l’interdiction pure et simple de certains articles d’habillement risquent de populariser ces articles, mêmes de les transformer en symboles de la liberté. Tout au moins, les interdictions ne font que confondre un problème culturel déjà complexe. Il existe différentes manières de faire la laïcité, différents types de neutralité de l’État, des approches différentes pour la séparation de la religion de l’État. En ce qui concerne le symbolisme des codes vestimentaires religieux, la réponse des humanistes et des autres varie, et la meilleure façon de mettre en œuvre les principes de la démocratie laïque sont ouverte au débat. Mais il y a des moments où très clairement la ligne a été franchie. Lorsque la police armée approchent des femmes seules profitant de la plage et les obligent à enlever une couche de vêtements, sans plainte de l’ordre public, sans aucune preuve qu’elle a été obligée de porter les vêtements contre sa volonté, et quand des racistes observent en criant «Rentrez chez vous» (et ne semble pas se faire face à toute réprimande par la police pour ce comportement), alors nous sommes bien dans une zone où les principes de la laïcité ont été déformés au-delà de la reconnaissance. La laïcité a été une source d’inspiration à travers le monde; lorsqu’elle est bien comprise, elle est le meilleur cadre pour assurer la liberté, l’égalité et les droits de l’homme pour tous. Les interdictions du burkini dévalorisent et avilissent la grande contribution de la France à la compréhension du monde de la laïcité, et devraient être inversées dès que possible.